There is little doubt that the smartwatch popularity is more than just a fad and with all the available smartwatch options that are already available it can be tough to decide which one is best for you. If you are operating on a budget, one of the premium smartwatches might be out of the question. 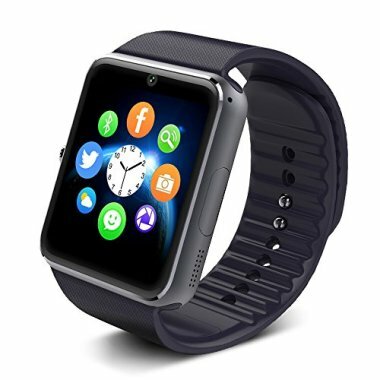 That is why we have compiled this list of the best cheap smartwatches based on extensive research of user reviews, sales, design and features. If you are looking to purchase your first smartwatch but don’t want to spend an arm and a leg, this is the list for you. For additional help in making your smartwatch purchase decision, try out Smartwatch Buying Guide to learn all you need to know about smartwatches, their features and what you should expect with your first smartwatch or checkout our best smartwatches guide for some more high-end options. 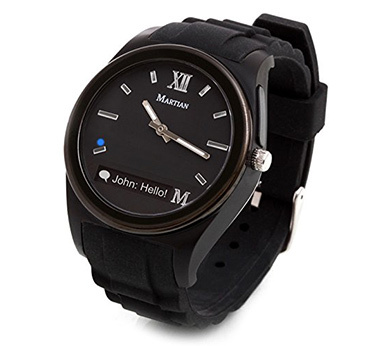 The Martian Watches Notifier Smartwatch includes a wide range of features to help make your life easier. 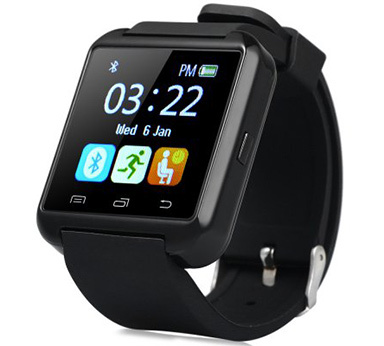 It’s cross compatibility makes it a great choice for both Android and iPhone users out there and its included features gives you everything you need in a smartwatch. However, some users weren’t satisfied with the comfort of the rather plain looking band and there were issues with viewing the watch in darker settings. It’s easy to connect features and use of notifications across your devices make this a great watch to keep you from having to pull out your smartphone, but if comfort is an issue for you, you may have to examine other options. The notifier function has also received a lot of praise, helping users find their phones even when they have lost them as long as they are nearby. If you want a watch filled with features and aren’t worried about comfort, the Martian is definitely worthy of a closer look. 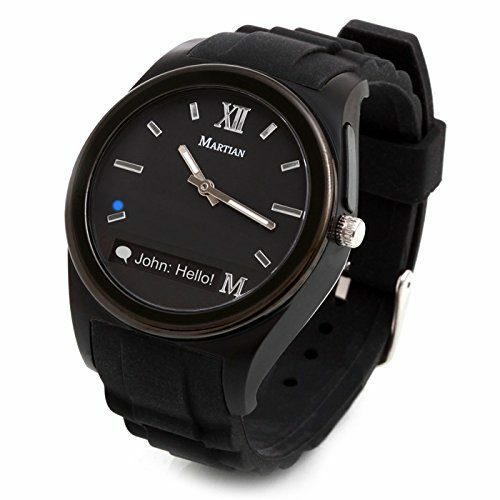 The Martian Watches Notifier presents a user with great features that are very useful, but the comfort of the band has come into question and low light visibility is an issue. 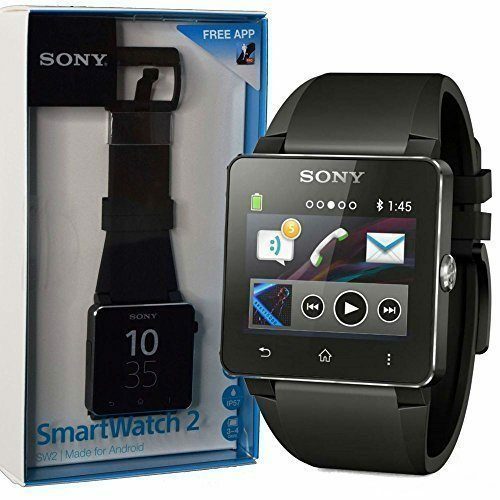 The perfect accessory for any Sony fan, the Sony SmartWatch US version 1 offers the impeccable styling that everyone has come to expect from Sony along with the all the features you might expect in a smartwatch. 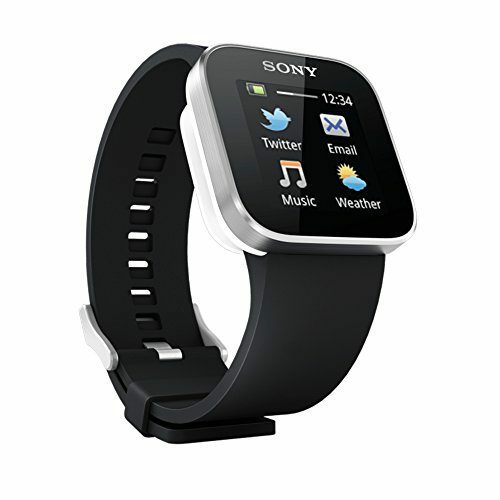 At just 0.3 inches thin and only 7.2 ounces, this Sony is very light to wear and looks great on your wrist. It’s 1.3-inch multi-touch OLED display is bright and clear and easy to navigate. Designed to be compatible with almost any Android device, you will easily be able to connect it to your tablet or smartphone. Many of the features are what you would expect with the ability to screen and answer calls and texts, play music, and more and with its Google Play integration, you can easily enhance its capabilities far more than you might expect. While the expandability of this device is limited, it is very affordable and a rock solid early contender in the smartwatch markets. 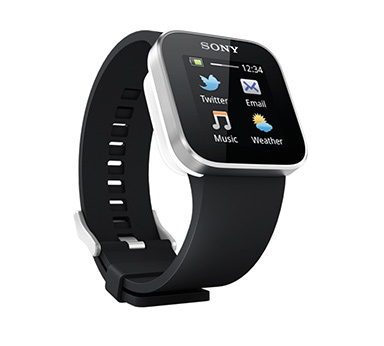 The Sony Smart Watch SW2 has been designed by Sony with their unique style and tailored to work seamlessly with virtually any Android device with Bluetooth running Android 4.0 or higher. It features a 1.6 Transflective LCD screen which is clear and easy to read and its body is made of high quality aluminum giving it a weight of 11.2 ounces which is a bit heavier than much of the competition but still comfortable to wear. The battery life, while not as long lasting as the Pebble will easily last 3 to 4 days between charges depending on your use. Like many smartwatches, it comes with a wide range of features to tell time, track your health, view the weather, listen to music and much more. You can easily expand this functionality with official apps right from the Google Play store. The Sony Smart Watch SW2 looks great and is another great watch offering a fully immersive Android experience making it one of the most expandable devices available. 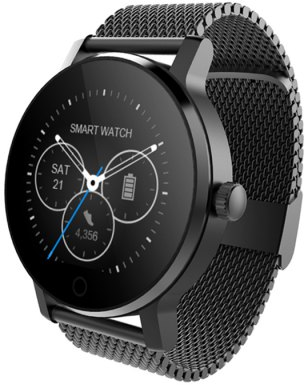 Overall a strong contender in the budget category, the SW2 offers an impressive range of featured but is underpowered compared to modern smartwatches. Sony has made a name for itself making high quality electronics, and while they may not be known in the smartwatch world, the Sony SWR50 is no different. However, it wouldn’t be considered high end. Powered by Android Wear, you will be able to install any app from the Android store to expand its functionality, giving you many options at your fingertips. The screen is bright and easy to see even in direct sunlight, but unfortunately Sony used cheaper glass to cut costs so it isn’t very scratch resistant, with some users reporting scratches after only a few days use. If battery life is important to you, then the SWR50 won’t disappoint with a battery life of two days under normal use. While Sony has obviously made a few sacrifices with both the screen and band to keep the price low, this smartwatch still provides more than enough features to keep your hands away from your smartphone. 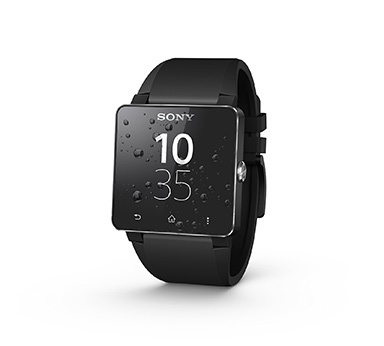 For a budget smartwatch, it is hard to go wrong the Sony SWR50, just make sure you are careful as the screen is prone to scratches. 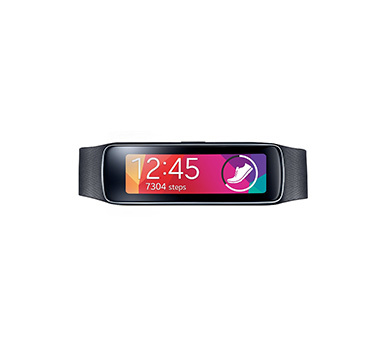 The perfect smartwatch for fitness buffs or just while you are working out, the Samsung Gear Fit SM-R350 offers a unique design that differs from virtually all the other smartwatches on the market. It features a curved design that is quite stylish and almost futuristic in its looks that is perfect to wear while you are exercising. The 1.84-inch Curved Super AMOLED screen is as interesting in its design as it is in clarity. 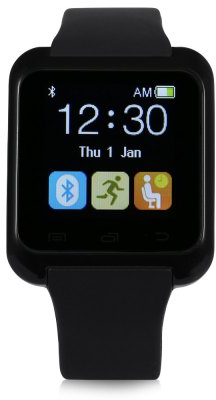 Like other Samsung smartwatch products, you can easily use this device in conjunction with your Samsung smartphone or tablet to track your fitness, read text messages, emails and even answer calls. In addition, the Gear Fit SM-R350 includes a Personalized Fitness Motivator to help you keep track of your activities and it even includes real time coaching to help you achieve your fitness goals. The Samsung Gear Fit SM-R350 is the perfect smartwatch for users who love to exercise and are looking for a convenient way to track their progress. The Samsung Gear Fit features a very unique and interesting design with great fitness tracking, but its lack of other features and limited compatibility is an issue for some. So many of us lean more towards the bands than the bulky smartwatch, but still want all those great smartwatch features. 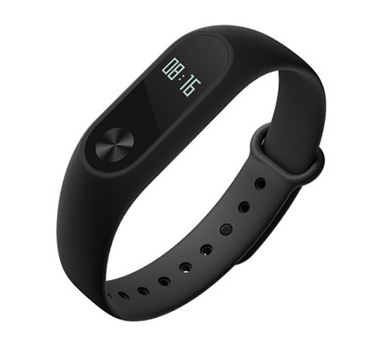 Enter the Xiaomi Mi Band 2. While it’s primary function is a fitness band, and it brings with it amazing health features including step counting, a heart monitor, and more, it also includes many smartwatch features such as notifications and messaging. The watch itself is sleek and stylish and fits perfectly and comfortably on most wrists. The screen is both dust and scratch resistant so you don’t have to worry about it showing its age after heavy use. While overall we believe this is a quality smartwatch, keep in mind that the included instructions are rather weak so you will have to figure out things for yourself. Luckily, it’s easy enough to use. At the same time, the included charging cable is small and flimsy, so you must be careful not to damage or lose it. 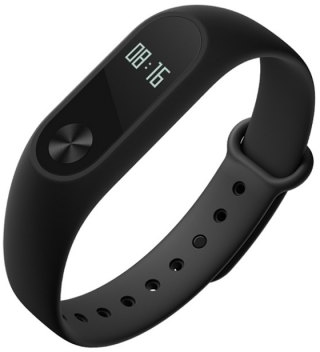 Packed full of features, the Xiaomi Band 2 brings with it the best smartwatch and fitness band features into one package at a price that’s right for everyone. Not all smartwatches are created by the top manufacturers, there are many so called off brands that make high quality smartwatches as well, and they shouldn’t be ignored. The PowerLead N20 is one of these watches. While it may not be a leading brand, it still ships with all the features you expect in a smartwatch. Featuring a 1.56-inch screen and a gorgeous design, the watch will look great on any wrist, although some may find it a little on the large side. It features Bluetooth connectivity to your mobile smartphone or tablet and will even allow you to push messages straight to your wrist. Its wide range of features give you plenty to do, although the ability to add other apps just isn’t there, so you will have to be content with what comes on the watch. It should be noted that some users are looking into hacking the device, but no progress has been made at the time of this writing. Some issues that many users encountered was difficulty in the initial setup process, mostly due to the app design. Some also had issues getting the watch to charge as the charging cradle is a bit awkward. 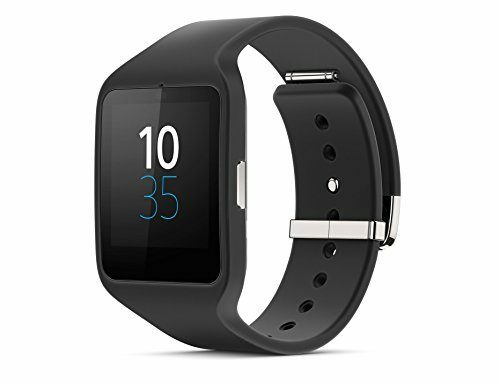 All in all, if you are looking for a great smartwatch at a great price and are okay with living with what comes on the watch, this is an attractive and affordable option. The PowerLead N20 is stylish and feature rich for its price, but some have issues with charging and initial setup and configuration. Not everyone wants a smartwatch that will sync with their smartphone. However, if you want be able to receive text messages and take calls, then you will need a smartwatch with a SIM card to do it. 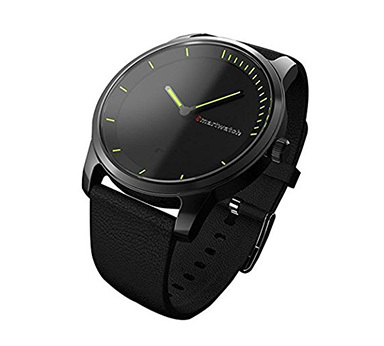 The Luxsure Bluetooth Smartwatch includes its own SIM so you don’t need to sync it with a smartphone. However, that doesn’t mean you can’t sync this up. In fact, it offers a full range of sync features with Android smartphones and tablets. However, it doesn’t support iOS. While you can still connect your iPhone, the features you have will be severely handicapped and you won’t be able to send and receive messages. It’s overall design is attractive and in line with what you would expect from a modern smartwatch meaning it will look great on virtually any wrist. Some users did, however, complain about the charging method used by this device, as it uses a USB cable much like your smartphone, adding more cable confusion to your desk. Overall, if you are seeking a smartwatch that doesn’t need a smartphone, and you don’t want to break the bank, then this is a great option for you. If you want a standalone device, the inclusion of the SIM card makes this one a perfect choice, however if you want to use it with your iPhone your features will be limited. We all love the extra features on our smartwatches, but this is one area where no two smartwatches are alike. The PowerLead Pwah PL-N20 is an affordable smartwatch that includes an impressive range of features that could put it into competition with the leaders in the market. It includes interesting features such as a pedometer and even a thermometer. On top of that, you can sync it easily with your smartphone and use it for messaging or even making or receiving phone calls. However, there is a slight delay of about a second when answering calls. Some users who purchased multiple watches found that they can come with different software versions, which leads to a slightly different feature set. Still, at this low price, it is tough to beat the features found on this watch, no matter which software version you receive. 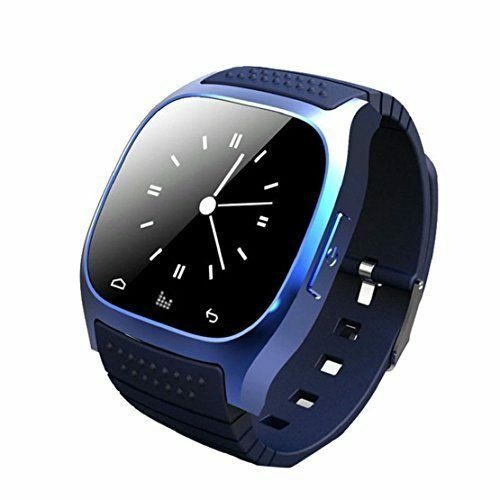 If you are on the hunt for a smartwatch filled with unique features, this is the option for you. Just make sure you are happy with what comes on the watch. Another perfect starter smartwatch to make it on this guide, the U8S Smartwatch is both attractive and affordable, although the design will remind you of devices made a year or two ago. Still, it brings with a host of great features. You can easily receive email and SMS notifications right on your wrist, although your response options are somewhat limited. At the same time, it comes with all the fitness features you have come to expect including a pedometer and sleep monitoring. It will even remind you when you should drink more water to make sure you stay hydrated. Dragging the device down a few notches is its size, meaning it may look too large on smaller wrists. The device communicates using Bluetooth 3.0, which will work, but isn’t as fast or as secure as Bluetooth 4.0. Overall, the U8S is a quality starter smartwatch perfect for almost anyone, just make sure it fits your wrist. You don’t always have to sacrifice features when shopping for a budget device. 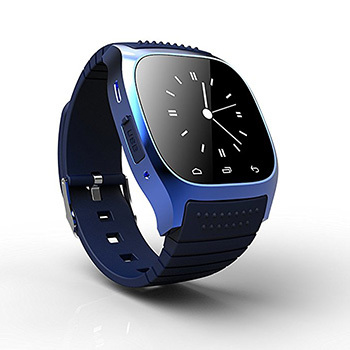 Just check out the SMA – 09 Bluetooth Smartwatch. It comes with an impressive array of both health and smartwatch features, and this watch will even allow you to check your social media accounts right from your wrist. While it’s email notifications and responses are very limited, you will be able to get an idea about the emails coming in without opening your phone. One impressive feature is the remote camera, which gives you the ability to control your camera right from your wrist so you never get left out of the shots ever again. While there are many great reasons to pick up this watch, you should be aware that battery life is a huge issue, and you will be lucky to get a full day of use out of it. At the same time, the magnet on the charging cable is weak and can easily fall out when it is barely touched. 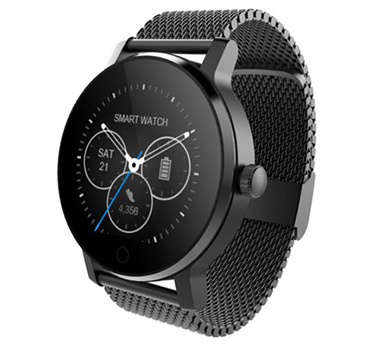 Despite these drawbacks weighing down the device, the SMA- 09 Smartwatch is one of the most feature-rich smartwatches you will find in this guide, making it well worth your time and consideration. 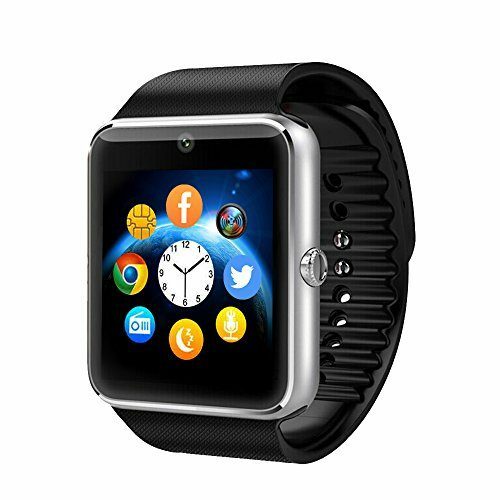 The SMA - 09 Bluetooth Smartwatch with Remote Camera gives you more features than almost any other smartwatch in the budget category, but limited email support and low battery life does bring the device down a few notches. 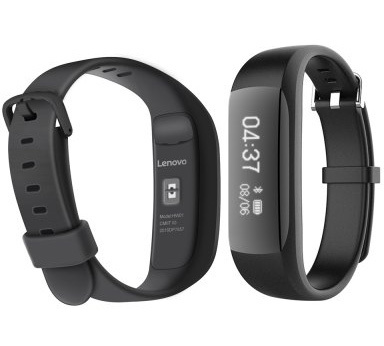 Even some of the major smartwatch makers create budget devices, and Lenovo is no different. 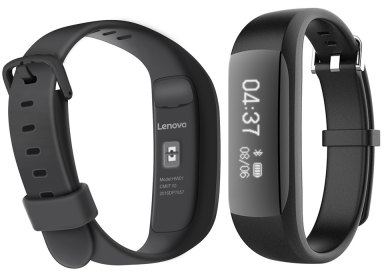 The Lenovo HW01 features a marriage of the best features of both a smartwatch and a fitness band into a device that is affordable and stylish. With such health features as a heart rate monitor, step tracker and more, it can be your companion for all your workouts. At the same time, it brings to the table enough smartwatch features to make it useful even when you aren’t worried about counting your steps. With text and call notification, you can check your wrist before you dig out your phone to see if you need to respond right away. It’s scratch resistant design means you won’t have to worry as much about wear and tear when using it. Unfortunately, the companion app you will need does bring this device down and the small charging cable can be easily lost or damaged. Despite these drawbacks, the Lenovo HW01 is still a quality budget device designed for people who want the best of both the smartwatch and fitness worlds. Lenovo may be well known for business laptops, but the HW01 also demonstrates their commitment to smartwatches. It’s advanced features and durable design make this one a hit among budget shoppers everywhere. We already know that you can find smartwatches for all different prices, but if you want to give the market a try, you may not want to invest a lot of your hard earned money. If this sounds like you, then may I suggest the U80 Smart Bluetooth watch. At under $10, it’s hard not to give it a try. 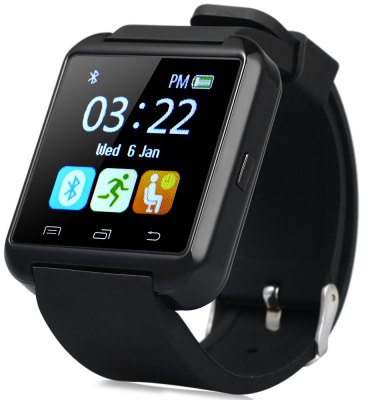 While the design is stylish, it is a little dated compared to the hottest smartwatches on the market today. Still, it will look on your wrist. 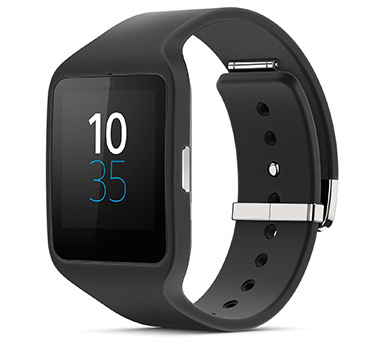 At the same time, it comes with a wide range of features that bring notifications right to your wrist. It even has a calculator that you can use to calculate your next tip when you are at a restaurant. Unfortunately, to keep costs down the battery used in the watch is subpar at best and with no third party app support to speak of, what you see is what you get. Despite these flaws, if you want a great budget device to dip your toe into the smartwatch waters, I can’t really think of a better option for you. It’s also great for kids thanks to its very affordable price. While it features a more basic design, it is still stylish and comes with a host of features including a calculator to make your life easier. Still, for the price, it’s hard to go wrong. However, a lack of third party support and battery life limitations drag down and otherwise great device. As you can see, there are many choices that are perfect for the budget smartwatch shopper. If you have the extra money to invest, we recommend also visiting our Best Smartwatches guide to learn about the best smartwatches available that offer some of the richest feature sets but often come with a steeper price tag.